You must avoid falling overboard at all costs. Crew overboard or man overboard (MOB) is a sailing emergency in which a person falls from a boat into the water and requires rescuing. A person may go overboard for a number of reasons such as being struck or hit by a part of the boat, a slippery deck or a sudden movement of the ship. 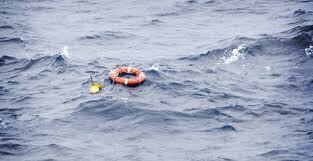 If you see a person fall, you should immediately shout "Man overboard" in order to alert other members of the crew. It is also important to keep a close eye on the person in the water. 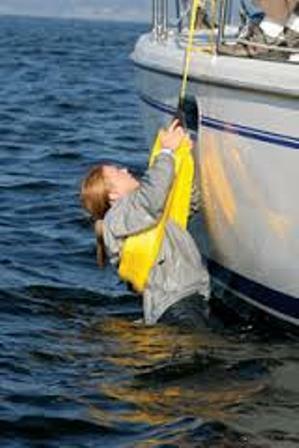 You should also point continuously to the victim to aid the helmsman in finding the person overboard. Falling overboard a ship is among the most life-threatening things that can happen while sailing. 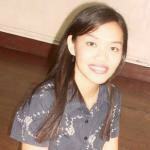 Thus, it is necessary to avoid such accidents from occurring and to be prepared if they do. As a skipper, you need to take all safety precautions to minimize the risks of MOB situations from happening. And as a crew member, you should be aware of the risks and avoid putting yourself at dangerous situations or making unnecessary risks. Here are some on-deck safety tips to avoid falling overboard and prevent MOB situations. 1. On big ships, people on deck should avoid climbing or sitting on the railings. From this position it is easy to trip or be blown overboard. 2. 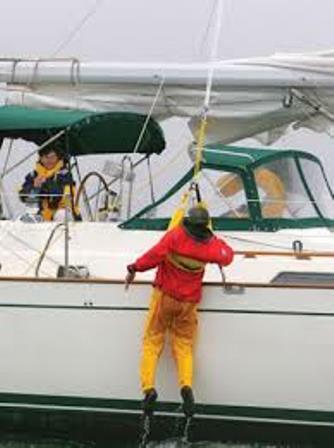 If you are sailing in bad weather, always wear a harness. It is also best to wear a harness if sailing at night, in high seas and strong winds or if you have poor visibility of your surroundings. 3. Have your ship rigged with jack-lines before you leave the harbour. 4. Always hang onto something stable and secure in case you suddenly get knocked off-balance. 5. Always keep a look out. You need to be aware of the movement of the boat at all times. Keep a look out for rogue or irregular waves. If a large wave is coming and you're at the helm, say 'wave' out aloud so that everyone on-board can brace themselves firmly. 6. Secure a good foothold. Always wear footwear that provides a strong grip on heeled deck even when wet. Use non-skid deck patches if necessary. 7. Wear the right clothing. Wear warm clothes especially when you're out in the open sea. Otherwise, you can suffer from hypothermia which can weaken your strength and make you susceptible to being off-balanced. 8. Always make sure that lifelines and jack-lines are tight enough. These lines are important for containing a fall. Keep them taut and replace damaged or corroded parts. Do you wish to go Bareboating in Airlie Beach, Whitsunday Islands, Australia? If you do, simply visit Cumberland Charter Yachts to find the best yacht charter deals in Whitsundays.